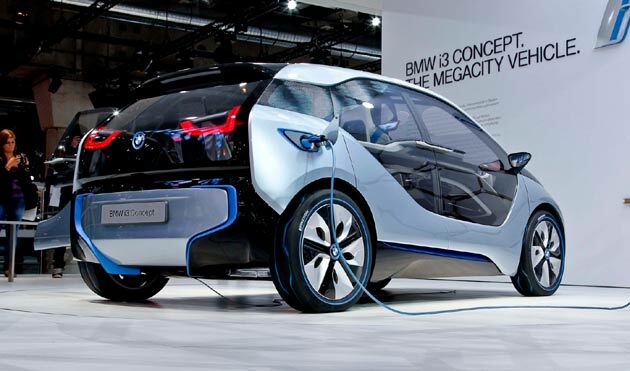 BMW has become one of the latest luxury car makers to release an all electric vehicle. Available in Europe for some time, BMW is now bringing their i3 electric model to the US. The i3 electric car is a no emissions vehicle that runs solely on charged electricity. “Today marks a big day at BMW of North America,” said Ludwig Willisch, President & CEO, BMW of North America, in a statement. BMW also released ports for the i3 models which will be distributed to dealers and delivered to buyers over the next few weeks. The cars are expected to roll out at dealerships by September but some Americans have already managed to get their hands on the car. Tufts professor, Charles Rabie received an early order of the all electric vehicle as did Ashlan Gorse Cousteau, who is married to filmmaker and environmentalist, Phillippe Cousteau. The cars are expected to start in the $41,000 range and go up from there depending on the features.